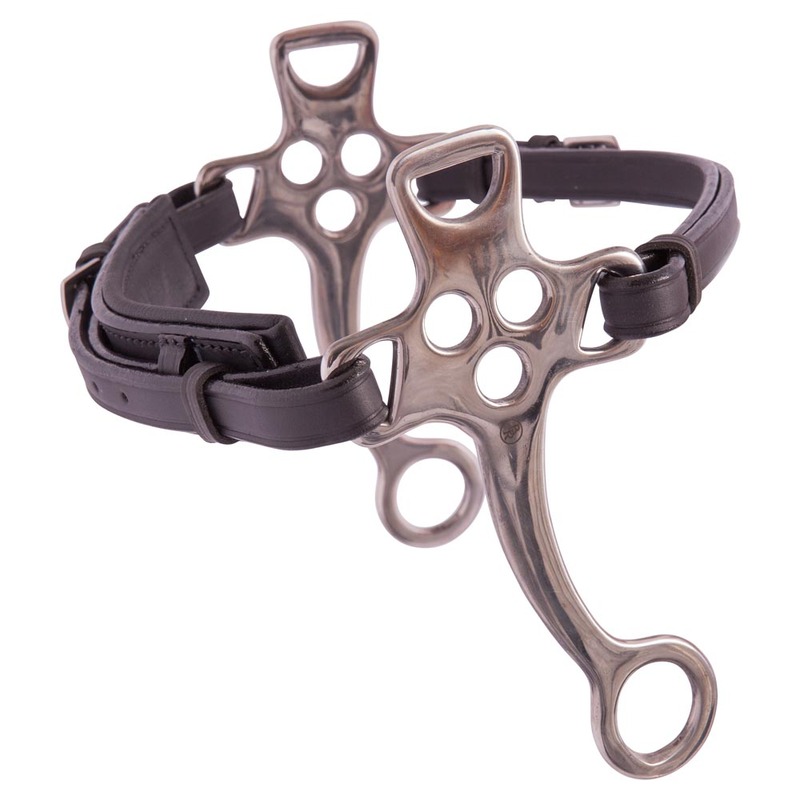 Web reins with rubber grip, hand and rein stops and round buckles, 19 mm. Bridle with soft padded headpiece. The noseband goes all the way over the headpiece. 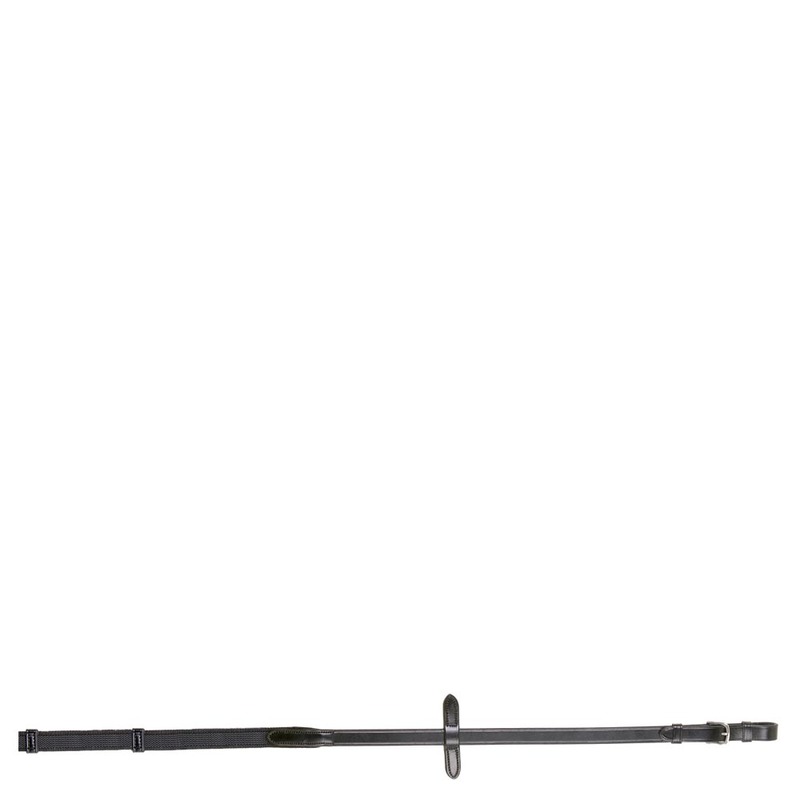 The curved browband has been encrusted with SWAROVSKI ELEMENTS and has soft leather lining. 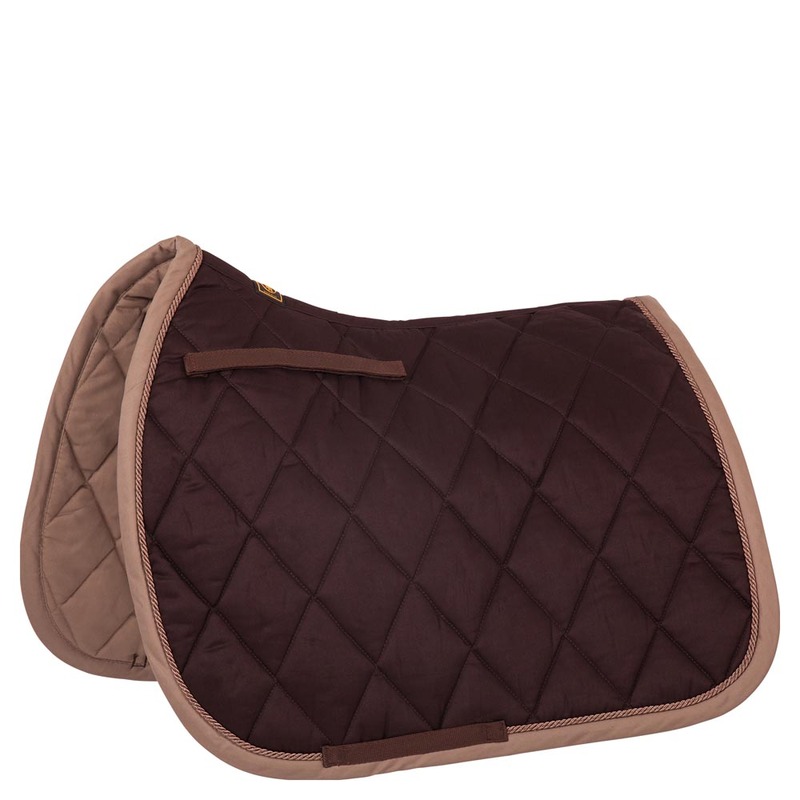 The drop noseband is round raised and has soft padded lining. 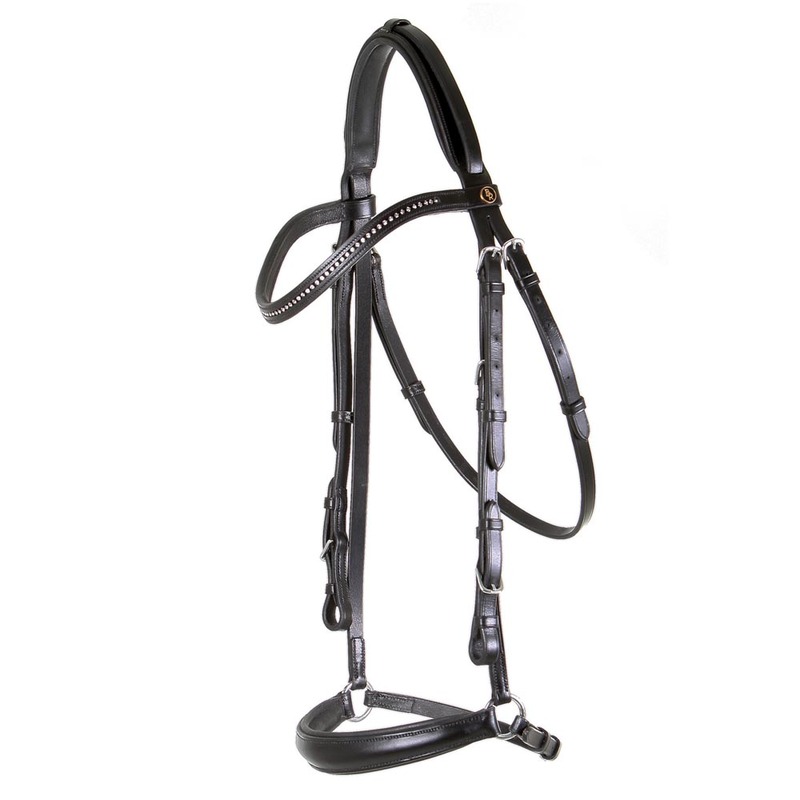 The bridle features round shiny silver-coloured buckles. Supplied without rein.